Make Money Online: April 2008 Google PR Update is Here Again?! April 2008 Google PR Update is Here Again?! 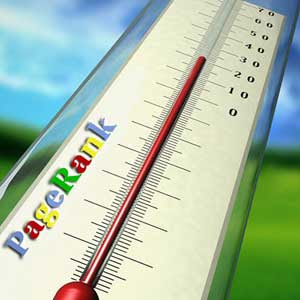 There's been some changes with Page Rank lately. Some bloggers have reported an increase and decrease in PR. Is google up for some Page Rank Update once again?! Probably. I've noticed some of my blogs have a Page Rank already while some have lost their PRs. This make money online blog however is still at zero. Do check on your Page Ranks. Your PR-0 blog may be a PR 2 or a PR 3 or probably a PR 5 by now I'll be keeping an eye on the google PR toolbar to ascertain if there is really a permanent Google PR Update. Hello po... I can see na Pinay ka po and you are withdrawing thru Eon card. May tanong lng po sana ako. I received my eon card two weeks ago, sabi nung teller, I have to verify my EON card online but when I try to login using my correct Card number and Pin, I received a message na incorrect daw. I double checked and it's correct naman. DId you encounter this error din ba. Hope you will make a post to help me on the step by step process from verification down to withdrawing. Thanks. haha! I noticed that too. I think it did update. one of my blogs is PR 2 now using the google toolbar but when I check it on blogfux, it says, PR3. labo. you mean nag log in ka sa Eon Cyber Account mo? Dapat mgregister ka muna..
Register ka rin sa Paypal then you use your Eon as a debit card sa paypal.. You can check my post in this blog for further info- Pinoy DOllar Quest..
yes i noticed PR 2 na ung blog mo.. Congrats ha! Yung Pinoy Dollar Quest Blog ko PR 2 din but this blog is still 0.. i think Google really won't forgive me for creating paid reviews in this blog before.. kainis! Hello lady, remind lang kita na tapos na ung upgrading ng basta.. lol. oy, new layout ah. I love this. better than the earlier layouts. etong blog ko PR3 na! hanggang kelan nmn kaya? naku kailangan ko nang itodo ang paidp-osts! halos lahat ng blog ko tumaas, congrats sa ating lahat. wag u mag-alala dati may unranked blog din ako mga ca-sino at pay-per-post ads pa yun ha? babalik din yan, alisin mo lng ung pay-per-post na bayad na, tsaka i notice na may PPP badge ka.. nadedetect daw yan ng G eh. btw, before pa ako lurker dito, sa inyong dalawa ni kirby ako kumukuha ng mga tips, kaya lng tumigil na yata siya eh ikaw lie low nmn. my blog na walang ding PPP banner na penalize din eh.. i don't know why exactly.. perhaps google just don't like me that much..lol..
anyway, thanks for being a lurker sa blog ko.. yup busy kasi si kirby eh.. he's studying pa kasi and then i think he has new sites in the making..
ako busy talaga ako coz am reviewing for a board exam.. minsan lang ako kung maka post talaga.and i don't do paid reviews anymore.. busy and nadala ako sa google pr slap..hehehe..
Yea. I noticed my main blog has risen to PR3. After 3 long months of PR0. haha. Looks like the hard work is finally pay off. My blog's PR increased from 2 to 3. Sadly, my other 2 blogs are still nailed to zero. They had PR3 and PR2.